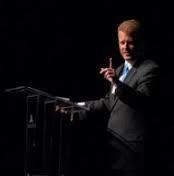 Brannon Howse has been airing a 3-part series attacking Charles Finney, the great revival preacher of the Second Great Awakening. I have to disagree with Brannon, who attacks Finney’s doctrines on original sin, justification, and the atonement. He also attacks Finney’s methodology, his impact on Christian involvement in social issues, and his promotion of women’s rights. I would place Finney second to Martin Luther in his positive impact on Christianity and the world. As a church historian, I was horrified at Howse’s analysis of Finney. He sarcastically misrepresented Finney’s views, not explaining the background against which Finney made his remarks, and not giving quotes which reveal Finney’s true views on salvation, justification, original sin, and atonement. I believe Charles Grandison Finney was a great Christian man whose doctrines blessed humanity. His break with the Calvinist doctrines of the 19th century New England churches led to a renewed passion for Christ and to the salvation of thousands of souls. His preaching inspired many young men to become evangelists and missionaries, and he was directly involved in the salvation of the great abolitionist, Theodore Dwight Weld, who worked tirelessly alongside William Lloyd Garrison to abolish slavery in the United States. Finney also took a courageous stand against slavery and helped to establish Oberlin College, the first college in America to accept black students without regard to their race. Finney’s revivalism also led to the great missions movement of the 19th century when mission societies were established and missionaries were sent to the uttermost parts of the earth to share the Gospel. I had also endeavored to show that, in that case, the atonement was no grace, but really a debt due to mankind, on the part of God, for having placed them in a condition so deplorable and so unfortunate. Does this mean that Finney didn’t believe in original sin, or that Finney rejected the atonement, and he believed that it “doesn’t secure the salvation of anyone,” as Brannon claims– or does it mean that Finney was coming up against a stronghold of wrong doctrine that left people helpless and confused? If Calvin’s doctrine of election was coming up against John the Baptist’s plea to repent, or Paul’s teaching that “Today is the day of salvation” or even Jesus’ Great Commission to preach the gospel to all the world, and to shake the dust off your feet and move on if people reject it, then Finney was willing to come up against this false teaching–even of his own pastor (who would later become a supporter of Finney and would renounce his “old-school” Calvinist theology). If a human government pardons a criminal, it is then pledged to protect him as a subject, as much as if he had never committed a crime. So it is when God justifies a sinner. The Apostle says, “Being justified by faith, we have peace with God.” Henceforth, God is on his side, and pledged as his faithful and eternal friend. Gospel justification differs from legal justification, in this respect: If the law justifies an individual, it holds no longer than he remains innocent. As soon as he transgresses once, his former justification is of no more avail. But when the gospel justifies a sinner, it is not so; but “if any man sin, we have an Advocate with the Father, Jesus Christ the righteous.” A new relation is now constituted, entirely peculiar. The sinner is now brought out from under the covenant of works, and placed under the covenant of grace. He no longer retains God’s favor by the tenure of absolute and sinless obedience. If he sins, now, he is not thrust back again under the law, but receives the benefit of the new covenant. If he is justified by faith; and so made a child of God, he receives the treatment of a child, and is corrected, and chastised, and humbled, and brought back again. “The gifts and calling of God are without repentance.” The meaning of that is not, that God calls and saves the sinner without his repenting, but that God never changes his mind when once he undertakes the salvation of a soul. This is also an inquiry often made. I answer–Just as soon as they believe in Christ, with the faith which worketh by love. Sinner, you need not go home from this meeting under the wrath of Almighty God. You may be justified here, on the spot, now, if you will only believe in Christ. Your pardon is ready, made out and sealed with the broad seal of Heaven; and the blank will be filled up, and the gracious pardon delivered, as soon as, by one act of faith, you receive Jesus Christ as he is offered in the gospel. It is said that in the 11th of Hebrews, the saints are not all spoken of as having believed in Christ. But if you examine carefully, you will find that in all cases, faith in Christ is either included in what they believed, or fairly implied by it. Take the case of Abel. “By faith Abel offered unto God a more excellent sacrifice than Cain, by which he obtained witness that he was righteous, God testifying of his gifts: and by it he being dead yet speaketh.” Why was his sacrifice more excellent? Because, by offering the firstlings of his flock, he recognized the necessity of the atonement, and that “without the shedding of blood there is no remission.” Cain was a proud infidel, and offered the fruits of the ground, as a mere thank offering, for the blessings of Providence, without any admission that he was a sinner, and needed an atonement, as the ground on which he could hope for pardon. Some suppose that an individual might exercise justifying faith, while denying the divinity and atonement of Jesus Christ. I deny this. The whole sum and substance of revelation, like converging rays, all center on Jesus Christ, his divinity and atonement. All that the prophets and other writers of the Old Testament say about salvation comes to him. The Old Testament and the New, all the types and shadows point to him. All the Old Testament saints were saved by faith in him. Their faith terminated in the coming Messiah, as that of the New Testament saints did in the Messiah already come. In the 15th chapter of 1 Corinthians, the apostle Paul shows what place he would assign to this doctrine: “For I delivered unto you first of all that which I also received, how that Christ died for our sins according to the scriptures; and that he was buried, and that he rose again the third day according to the scriptures.” Mark that expression, “first of all.” It proves that Paul preached that Christ died for sinners, as the “first” or primary doctrine of the gospel. And so you will find it, from one end of the Bible to the other, that the attention of men was directed to this new and living way, as the only way of salvation. This truth is the only truth that can sanctify men. They may believe a thousand other things, but this is the great source of sanctification, “God in Christ, reconciling the world unto himself.” And this alone can therefore be justifying faith. Jesus Christ was bound to obey the law for himself, and could no more perform works of supererogation, or obey on our account, than any body else. Was it not his duty to love the Lord his God, with all his heart and soul and mind and strength, and to love his neighbor as himself? Certainly; and if he had not done so, it would have been sin. The only work of supererogation he could perform was to submit to sufferings that were not deserved. This is called his obedience unto death, and this is set down to our account. But if his obedience of the law is set down to our account, why are we called on to repent and obey the law ourselves? Does God exact double service, yes, triple service, first to have the law obeyed by the surety for us, then that he must suffer the penalty for us, and then that we must repent and obey ourselves? No such thing is demanded. It is not required that the obedience of another should be imputed to us. All we owe is perpetual obedience to the law of benevolence. And for this there can be no substitute. If we fail of this we must endure the penalty, or receive a free pardon. To say that Finney “has influenced evangelicalism in many ways including altar calls, [and] long and manipulative services” (as Brannon stated) is to misrepresent Finney again. Finney used altar calls to help people come to Christ if they had questions or concerns. He called it the “anxious seat.” This was a time for counseling sinners and praying with them, but Finney blatantly rejected emotional and manipulative pleas. He was a lawyer and used reasoning skills to convince and persuade people to come to Christ. Are persuasion and manipulation the same thing? In the former case devious methods are used to influence somebody, in the latter case there’s an appeal to reason and understanding, and an attempt to convince. I believe Finney used his skills of persuasion to reach people with the Gospel. In fact, some people described his sermons as being “logic on fire.” He used the scriptures as the basis for every sermon he preached. Finney’s “new methods” attempted to take the Calvinistic mystery out of the call to repentance and salvation. He asked for public professions of faith and employed altar calls. Many preachers of his day criticized him for this. They claimed that decisions for Christ should be personal and private, occurring in their own home, for example, but this wasn’t the way John the Baptist did it, and Jesus said to those who denied him on earth, that they would be denied in heaven. Jesus also said the Gospel should be preached to the whole world. To accomplish this goal, a simple methodology was used, but this didn’t cause Finney to neglect the Spirit. He believed, just as Jonathan Edwards before him, in the necessity and power of prayer in calling down revival and in tenderly preparing the hearts of the people to be converted to Christ. Both the public call to repentance and salvation, and the call to prayer were based on biblical doctrine. Yes, Finney was also involved in the battle against slavery. His primary concern was for the souls of men, but he also believed that Christians who received Christ should live for “benevolence.” Isn’t this what Jesus and the apostles taught? Jesus said the greatest commandments were to love God and love our neighbor. Wasn’t the slave our neighbor? Didn’t Paul preach, “Yea, though I speak with tongues of angels, and have not love, it profits me nothing“? The heart of God is love, compassion, kindness, justice, and mercy. Jesus showed this attitude when he walked the earth. Shouldn’t the Body of Christ be fulfilling this aspect of His ministry? Brannon says Finney influenced the church to become “a political and moralizing organization,” but I believe Finney was merely encouraging the church to stand on the Word of God and be faithful to uphold it in the face of tyrannical evil. This willingness of the church to oppose evil and all of its victims by standing on the pure Word of God has been one of the greatest legacies of the church throughout history. Who opposed the slaveholders and their perverted views on the curse of Ham, or their rejection of Acts 17:26 which says all people descended from “one blood?” The abolitionists, Wilberforce, Weld, Rankin, Garrison, Douglass, and on and on . . . who all took their stand on the Word of God. Who rejected the Nazis, as the only internally organized opposition to Hitler? Bonhoeffer, Niemoller, Barth, etc . . . who, in the Barmen Declaration, took their stand on the Word of God. Throughout church history, nearly all of the great underground movements against tyranny have been organized and supported by Christians who have taken their stand on the Word of God. We can also see this in the battle against communism and in the work of men like Richard Wurmbrand, the founder of the Voice of the Martyrs. Should we toss this important role of the church out the window because of people such as Rick Warren and Jim Wallis? By the way, it was a Calvinist Puritan, John Winthrop, who coined the phrase “city set on a hill,” in regards to America, and it was Calvin’s Geneva that was an example of a church/state experiment based on moralizing and politicizing Christianity. Perhaps we should look to the Calvinists as those who led the American church down that road, rather than Charles Finney. Finney WAS preaching another Gospel (as Brannon says), a Gospel that was different from that of the Calvinists–and I believe he was teaching the true Gospel. He preached the Good News that people were able to choose to find peace with God through the atonement of Jesus, and they could be justified by their faith (belief and trust in) the finished work of Christ. The fruit of Finney’s preaching was that it produced a burst of light and truth that went around the world. Christians rose up with the courage to oppose slavery because Jesus came “to set the captives free.” Mission societies sprung up so that the Gospel could be preached to all people everywhere, giving them a chance to respond to Jesus and His Word of Life. Hundreds of thousands of “Christians” who were immersed in cultural Christianity, heard a passionate plea, trying to convince them to receive the finished work of Christ on the cross and to live holy and fruitful lives as a result of the new Spirit within them. Salvation went forth to all who would receive Christ. And all of this beautiful fruit came from a man who decided to stand on the Word of God and oppose the false teaching of the Calvinists. 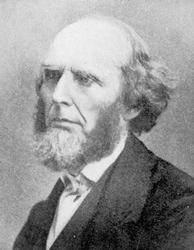 I honor Charles Finney and consider him to be one of the great heroes of the faith . . . and I believe that Brannon Howse needs to read more of Finney’s writings, not just those quotes that are misrepresented by Calvinists. Charles Finney: The Great Revivalist. Bonnie C. Harvey. (Uhrichsville, OH: Barbour Publishing, Inc., 1999), 123. Ibid, 130. Thank you. Mr. Howse is always looking for someone to run into the ground. Whom to better pound into the dirt but one who’s dead and unable to defend himself. Finney’s words seem to speak for him from what you’ve shown. I shall read more about him but it is true that the Lord is not a Calvinist. Neither is He Armenian. Who were Calvin and Armenius but men? We fail to consider their words are not scripture. If we let scripture speak and we keep the thoughts and commentaries out. We will clearly see the scriptural position is someone between the two positions. Must we be either or? No, we should rather be neither nor, but followers of Jesus Christ who as James points out if we’re under His grace through faith then it will call us to action. Thanks again for a very well written post. I wish more would read it, especially those who swallow everything Howse feeds them. Calvin: Murder (especially in the death of Michael Servetus), tyranny (Geneva was under his micro-control), the witch hunts perpetrated by his followers in Puritanical New England, confusion, insecurity and perplexity concerning salvation, and false holiness based on community standards (clothing, church attendance, entertainment, etc…). Finney: Revival in the church, freedom to the slaves, freedom from the confusion and insecurity concerning salvation, the stirring up of evangelical fervor to spread the Gospel–even at great cost to a person’s life, the expansion of mission work, and holiness with wholehearted devotion based on the Word of God. This was the arena into which Finney walked with the Gospel message. He was a hero if you ask me, and I really feel sad that Brannon is either blinded, or unwilling, to see the truth because I think Brannon longs to be faithful to God! “This doctrine is a stumbling-block both to the church and the world, infinitely dishonorable to God, and an abomination alike to God and the human intellect, and should be banished from every pulpit, and from every formula of doctrine, and from the world. If Finney had lived in Jesus’ day, he’d be included in Hebrews 11 for sure. A real defender of the faith and genuine lover of God. Thanks for this well-written article. I learned some important things and copied some of them too. John Calvin and Jesus Christ might have the same initials, but boy do they ever teach opposite doctrines! If you have a copy of a Calvinist Study Bible (Geneva Study Bible, etc) you’ll see Calvinists contradicting God in their comments below the texts, for one example at John 3:16, where they exchange God’s word (world) for man’s word (elect) to make it fit John Calvin’s doctrine that God didn’t love everyone, but ‘the elect’ only. And if you find a copy of Calvin’s ‘Institutes of the Christian Religion’ on the Net) you can see Calvin himself saying at John 6:29 that, “First, it is plain enough that Christ does not speak with strict accuracy, when he calls faith a work….” WHAT!!! Calling God a liar is just not a good thing! Seeing Calvin give false interpretations to God’s text is truly something to behold. Great post! Calvinists lie about everyone who disagrees with their theological statements. They misrepresent those who don’t follow this nonsense theology. I know what I say. I was a calvinist theologian for twenty years, I preached and taught Calvinism. Finney was one of the great heroes of our history. He has his own way of express theological concepts and is frequently misunderstood and misrepresented, but he was biblical and sound. Douglas….I’d love to know more…have you written your testimony in a blog or somewhere else where we can read it? I’d really like to know how your life was when you were preaching Calvinism, what made you change your mind about it, and how your life is now. Thanks for posting.